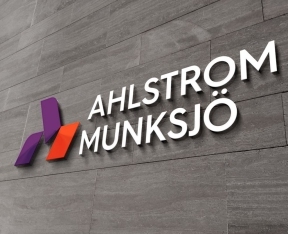 April 10, 2018 - Ahlstrom-Munksjö announced plans to invest about EUR 27 million on two investment projects in Sweden — both with attractive financial returns and improved environmental performance and employee safety, the company says. Ahlstrom-Munksjö plans to increase pulp production capacity and improve environmental performance of the pulp production line at it Billingfors pulp and paper mill in Sweden. The investment involves rebuilding the recovery boiler and debottlenecking the pulp line. When completed in the third quarter 2019 the plant will meet stricter environmental regulations as a result of improved process combustion, reducing air emissions. The financial benefits include lower maintenance costs, and higher pulp and insulation paper production. The total investment is approximately EUR 23 million and the final investment decisions is conditional on receiving a new environmental permit from the authorities, expected in Q2 2018. Installation work will be made during a scheduled maintenance shutdown in the summer of 2019. Ahlstrom-Munksjö has also decided to modernize the bailing line at Aspa pulp plant in Sweden. An investment of EUR 4 million will improve the safety level at the bailing line, improve production efficiency and give access to a more favorable customer mix. The new line is estimated to start during the first half of 2019. During the modernization project, production will continue normally. Both Billingfors and Aspa plants are part of the Industrial Solutions business area, producing a wide range of products and materials often used in manufacturing and production processes, such as abrasive backings, electrotechnical insulation papers, release liners and specialty pulp. Ahlstrom-Munksjö noted that these projects will not materially impact the company's current year capital expenditure plan. The capital expenditure guidance for 2018, published on February 13, 2018, remains unchanged. Ahlstrom-Munksjö is a global leader in fiber-based materials, supplying innovative and sustainable solutions to customers worldwide. The company's offerings include decor paper, filter media, release liners, abrasive backings, nonwovens, electrotechnical paper, glass fiber materials, food packaging and labeling, tape, medical fiber materials and solutions for diagnostics. To learn more, please visit: www.ahlstrom-munksjo.com.